and the flowers have a wonderful tropical "fruit-like" fragrance. Some say the flowers smell like bananas. This plant is unusual and not found too easily for sale. I would recommend this as a substitute for Michelia alba. 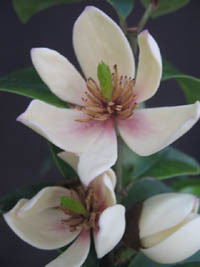 It is in general a smaller plant which can be grown in a pot. 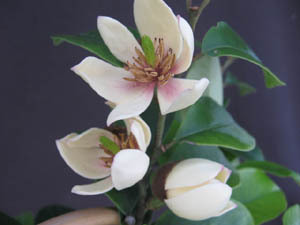 The flowers are also super fragrant and it blooms much younger than M. alba.